DJI is pleased to announce that the new Osmo FlexiMic will be made available free of charge for all Osmo owners from January 29th as a sign of our appreciation on the occasion of DJI’s 10th anniversary. 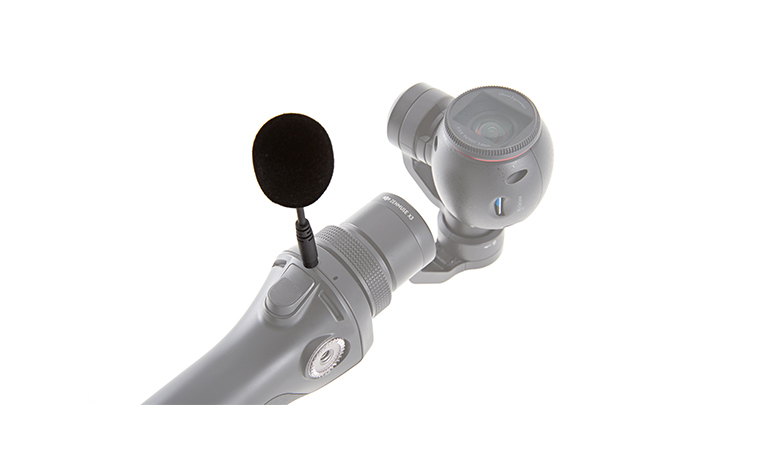 This new plug-in microphone will offer users of our handheld, stabilized 4K camera and gimbal system an even more powerful experience, taking them one step further towards professional-level filmmaking. 1. Customers who bought their DJI Osmo in our Online Store or at our Shanghai Airport store, will receive an email with a coupon code, which can be redeemed for a free FlexiMic at the Official DJI Online Store. If you don’t receive a coupon, please contact onlinesales@DJI.com. 2. For those that purchased their DJI Osmo from an affiliate website, please contact the affiliate in question for a coupon code to use in the Official DJI Online Store. 3. If a user has purchased their Osmo from an Authorized DJI Dealer, they can receive their FlexiMic by contacting the dealer. For any questions, please contact sales@DJI.com. 4. For Osmos purchased at the DJI Flagship Store, the unit serial number makes the customer eligible for a free FlexiMic for pickup at the store, or to be shipped within China by first contacting DJI by sending an email to store.sz@DJI.com.